How do you know when a politicians lying? 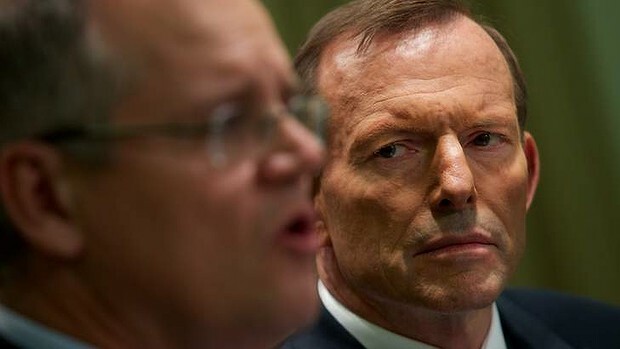 Questions over funding for media coverage and capacity for asylum seekers have clouded Tony Abbott's plans for using Nauru as a key centre for off shore processing. 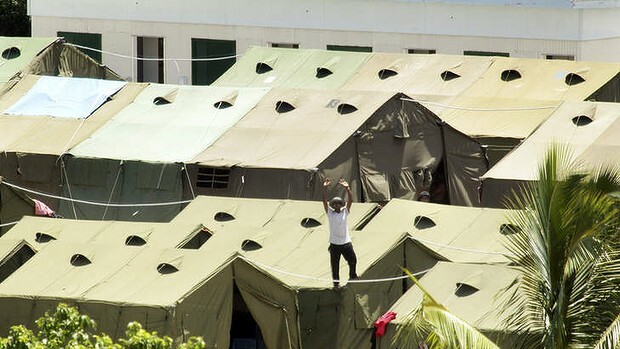 A logistics company that stands to profit from the Coalition's ''tent city'' on Nauru funded the trip of its immigration spokesman Scott Morrison to the remote island to announce the plan to house up to 2000 asylum seekers in tents. 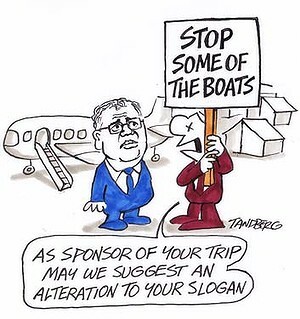 The trip to Nauru was facilitated by Toll Holdings, which has multimillion-dollar contracts to help handle asylum seekers and is understood to have chartered the flight to Nauru for the Coalition and a journalist and photographer from News Corporation. Contacted on Tuesday morning, Mr Morrison's office had no policy documents to accompany the announcement, and a spokeswoman advised reporters to get their information from what had been reported in News Corp newspapers. Mr Morrison later issued a news release with broad details of the policy. Fairfax Media is awaiting a response from Toll Holdings. Toll Holdings has contracts with the Department of Immigration valued at about $26 million. This is not the first time a company has funded media travel to Nauru. In 2011 the trucking baron Lindsay Fox loaned his private plane to Mr Abbott, Mr Morrison and a media group - including Fairfax, News Limited and the ABC - after the government refused Mr Abbott the use of government VIP jets.